November 2, 2017 – Cooling homes and small office spaces could become less costly and more efficient with new early stage technology developed by Oak Ridge National Laboratory. 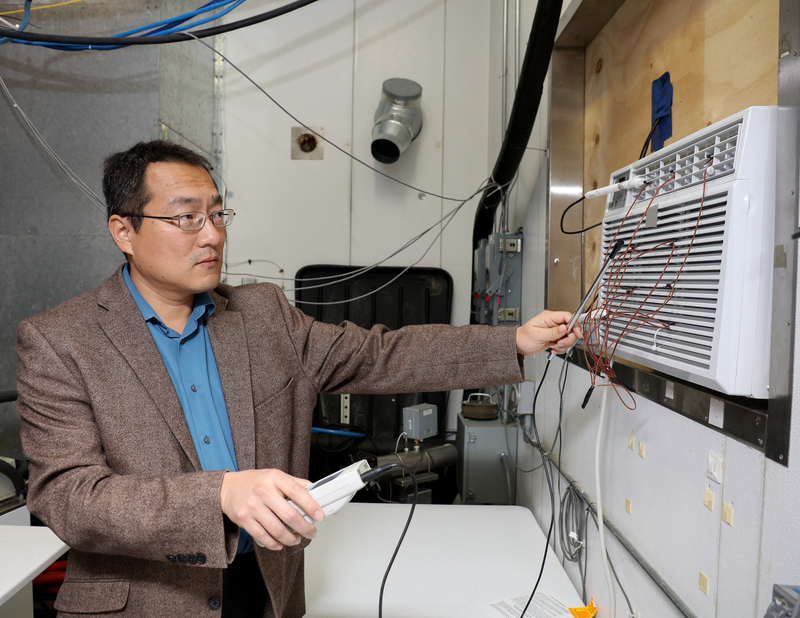 Researchers designed a window air conditioning unit that uses propane as the refrigerant, cooling the air with 17 percent higher efficiency than the best ENERGY STAR® commercial units. “Propane offers superior thermodynamic properties and creates 700 percent less pollution than standard refrigerants,” said ORNL’s Brian Fricke. “We developed a system that takes advantage of these qualities and reduces global warming potential.” The team’s early-stage technology includes a novel heat exchanger, compressor and controls that require less propane than similar units used overseas. The team’s laboratory evaluations demonstrate the prototype unit is the first propane window air conditioner to meet U.S. building safety standards.